An update to Vol. 4, pp. 1495–1497. 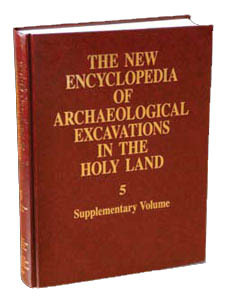 A seventh and final excavation season was conducted in 1996 at Ḥorvat ‘Uza by a joint expedition of Tel Aviv University and Baylor University, under the direction of I. Beit-Arieh and B. Cresson. Additional data from the first six seasons and the results of the seventh season of excavation are presented below. Stratum III: Iron Age (2 phases). Stratum II: Hellenistic period (1 phase). Stratum I: Early Roman period (2–3 phases). THE IRON AGE (STRATUM III). At least eight building complexes from the Iron Age were uncovered in the excavated areas. Two of these, only partially excavated, were unearthed at the eastern and northeastern edges of the fortress during the 1996 season. Also found was a small portion of a building in square D21, which indicates that the previously exposed row of rooms abutting the southern wall also extends westward. The architecture indicates precise planning of the interior of the fortress, which is criss-crossed by alleyways providing access to each building complex. On the eastern portion of the street between the bamah and building 1323, a thick layer of ash mixed with animal bones was found. This is apparently related to the bamah and the oven uncovered next to building 1323.